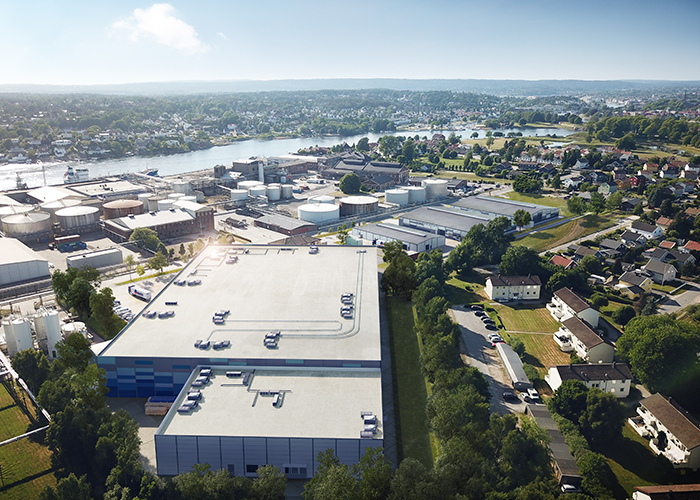 Fredrikstad Seafoods, a subsidiary of Nordic Aquafarms, has received the construction permit for its new ground-breaking phase 2 design. The facility to be constructed is 10,000 m2, and is by far the largest land-based salmon unit constructed in Europe. See separate video on our home page regarding the new design. The facility features a bundle of new innovations related to efficient footprint, self-cleaning tanks, efficient logistics and environmental standards. The new design removes 99 percent of most nutrients before discharge. The planning and engineering has been in the making for over a year, and we are looking forward to getting started on construction of the pilot facility in Norway. Construction can start when remaining permits are in place, alongside a new smolt facility on the site.